The beauty consumer landscape offers rapid growth opportunities for cosmetics manufacturers–and real-time demands on existing cosmetic product development processes in order to expand into new product categories. Reformulating existing products with fewer and more natural ingredients. Adapting product design to bring hybrid, unisex and multi-use products to global markets faster. Managing an interconnected web of global regulatory certifications and claims. Automating the feedback loop between Innovation, Marketing, R&D, Quality and Regulatory groups. Adjusting Innovation priorities as consumer beauty technology and preferences change buying behavior. 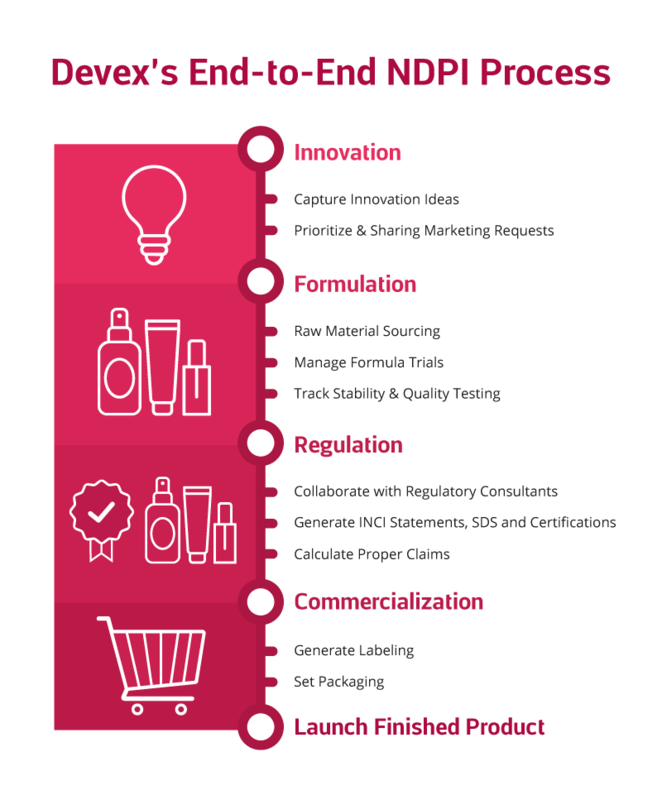 Selerant’s Devex PLM system offers Cosmetics brands and manufacturers a single-truth platform for managing these many internal process changes in one place, bringing greater control, transparency, and oversight into Cosmetics product development and launch so you can innovate and get competitive products to market faster. Centralize the capture of Innovation ideas from social media trends and more in one place, instead of using disconnected email chains and spreadsheets. Determine the high-priority products first with product analysis at the point of ideation. Implement one system that can be used to share information between Innovation, Marketing, and R&D groups. Expedite new product research by accessing a history of global lab trial versions and outcomes. Implement automated PLM processes that meet the speed of OEM requests. 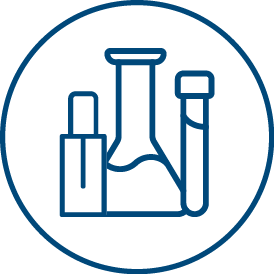 Use Cosmetics-specific ingredient and formulation templates to standardize data requirements for new products. Connect stability testing information into formulation templates for easier market launch. Quickly modify existing formulations for new uses and markets and connect all global variations. 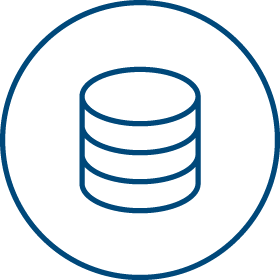 Maintain an always-accurate, integrated product data repository. Reduce time spent on regulatory compliance checks with roll-up creation of INCI statements and Safety Data Sheets. 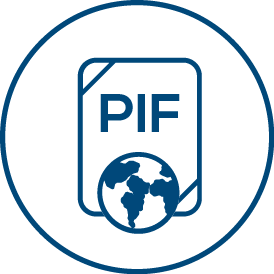 Enable regulatory consultants to easily generate regulatory documents with built-in PIF generation tools. Determine regulatory fit at the point of ideation. Simplify the registration paperwork process with templates for spec sheets, ingredient types, active ingredients, ingredient supplier info, attribute percentages, certified limits by weight and product use, and more. 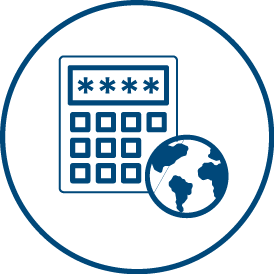 Easily tailor different country registration packets for the same or related formulas and products. Connect labeling requirements to the very start of product development. Use formulation data to automatically generate label information. Facilitate numerous packaging scenarios simultaneously by managing multiple variations for each product packaging component. 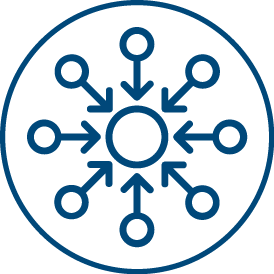 Integrate supplier and plant information and collaboration directly into PLM processes. Increase the speed of innovation for new product categories and markets by eliminating data redundancies and process bottlenecks and increasing enterprise collaboration capabilities. With standardized PLM processes in place, you’ll ensure that quality levels are met even as formulations changes for new markets and gain global visibility into non-conformance issues. 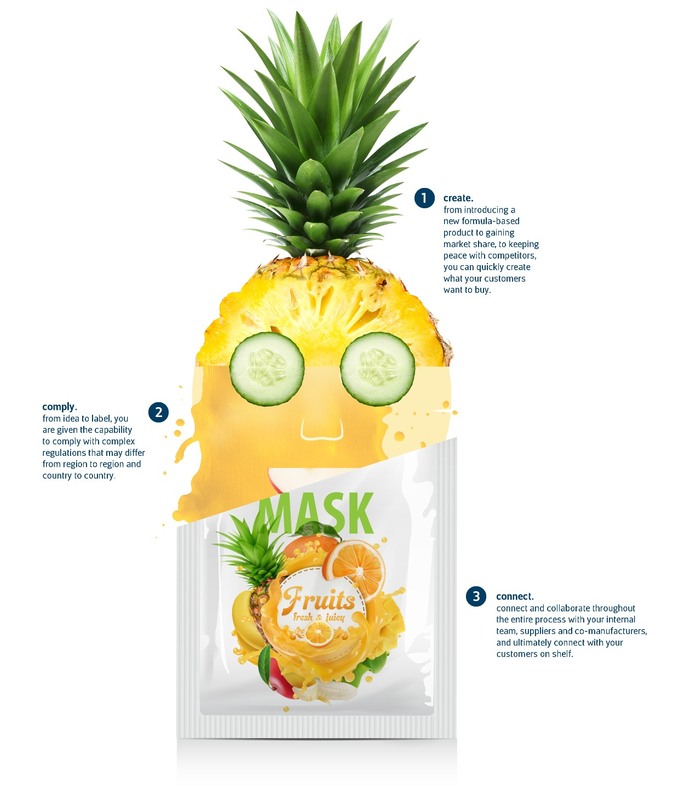 Reach new markets with deep visibility into how formulation design and production processes impact country-specific product claims, such as anti-aging, silicon-free and more. Connect calculations to labeling, packaging, and marketing activities to create accurate, transparency product claims that reflect internal procedures. Instead of using many disparate applications, points-solutions or spreadsheets typically leveraged to manage product development between many working groups, teams can use one solution. Integrations with core systems like ERP enable you to consolidate applications and IT maintenance, integration and support costs, and easily pipe product data to other downstream systems. 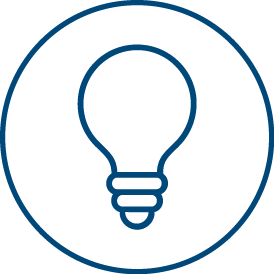 Increase visibility for new product ideation by using one system to capture new Innovation and Marketing ideas, run ROI cost calculations on proposed ideas for smarter prioritization, and directly share requests with R&D teams. Maintain all variations of trials, formulas, and BOMs in one connected system. 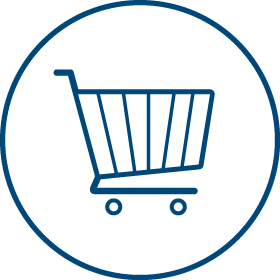 Store, track and search all variations throughout the product development process. Maintain a complete and growing product portfolio in one place. Use Drill-down categorization and calculations demonstrate how product variations are distributed and performing globally. Compare material, ingredient and formulation design needs to specific compliance and quality standards using built-in calculations and ensure that product development stages only advance when set quality limits are met. Determine if formula design, raw materials, and vendors meet natural origin, kosher, halal, anti-aging and other product claims in each country with instant roll-up calculations that are directly connected to labeling processes and marketing feedback. 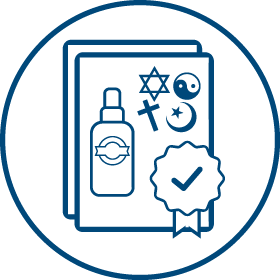 Manage all cost, religious and other compliance registrations and sub-registrations by setting baseline formulations and templates that can be saved and registered in many countries. View each registration packet’s current approval status across every country. Instead of spending hours compiling compliance data and documents, merge compliance data and documents into one PIF template and run non-compliance calculations on product formulas. 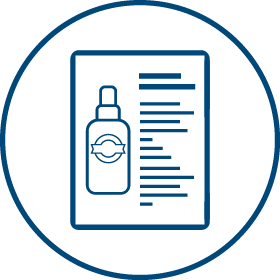 Modify existing formulations to rapidly create clean product label versions that meet new consumer needs. 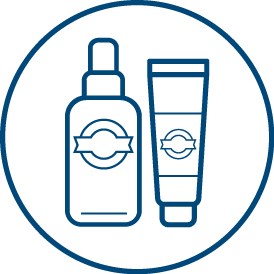 Use the Supplier Collaboration Portal to integrate supplier product, cost and compliance data directly into Cosmetics product templates, ensuring conformance throughout the supply chain and reducing the risk of recall. Implement standard product data sets for each stage of the product lifecycle and maintain control over the generation, use and access of all product attribute and documentation in one data repository. Track the total ROI of a product’s lifecycle by leveraging cost calculations at every PLM stage and comprehensive financial analysis tools that enable smarter resource allocation, procurement, and innovation priority choices. 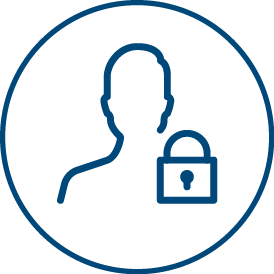 Assign specific roles, access rights, and review and approval tasks for different teams, such as Innovation, Marketing Managers, R&D, Product Managers, and Quality Testers. 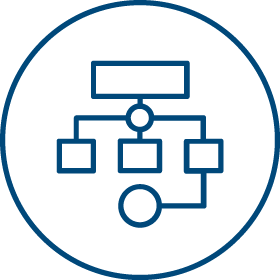 Leverage Devex’s core system to apply portfolio management, formulation, product data management, and packaging management modules for the entire Cosmetics product lifecycle.